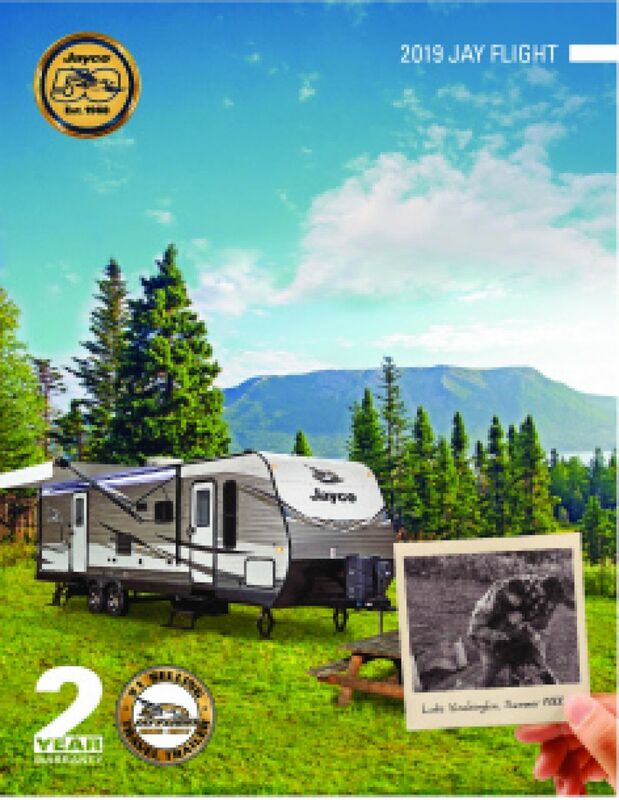 Take that trip that you've always wanted to go on with the 2018 Jayco Jay Flight 29BHDB! Find this fantastic Travel Trailer for a great deal at TerryTown RV! Come on down to 7145 Division Ave S Grand Rapids Michigan 49548 to find out why we're one of the top RV dealers in Michigan! For more information about this RV or any other model in our large inventory, call us at 616-455-5590. This RV is an easy tow on the road, with its hitch weight of 825 lbs. and GVWR of 9250 lbs. The family will love the fresh air and comfort under the 20' 0" patio awning, which is easy to open and close! No one likes to feel groggy when you're supposed to be having camping fun, so you'll want to be able to sleep in peace and comfort every night on the road. You'll receive a good night's rest in the private master bedroom, especially with its cozy Queen bed! 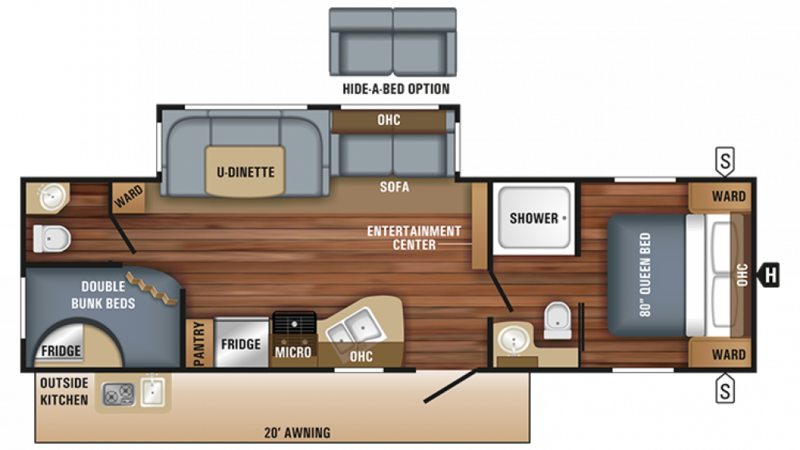 With all of the snug sleeping accommodations throughout this camper, up to 10 people can sleep well at night! Among the many modern appliances in the awesome kitchen of this Travel Trailer are the handy 3 burner range cooktop and the roomy 8.00 cu. ft. refrigerator where you can store all your fresh meats, veggies, cheeses, and cold beverages! Your family will enjoy great meals every day! Fill up the 40 gallon freshwater tank for loads of clean, refreshing water on your trip! Get ready for your day in comfort and convenience thanks to the great bathroom! Plenty of water for hot showers and shaves, thanks to the 40 gallon fresh water tank and lbs. of LP capacity! Skip the trek to the campground community bathroom with the Porcelain Foot Flush toilet, so handy and sanitary! There is a 39 gallon gray water tank and a 39 gallon black water tank! All the outdoor fun you'll have will surely make your kids tired, so ensure that they get a good night's rest! Sleep them in the cozy, private bunkhouse! Picnics with the family are nice and easy with the outdoor kitchen!